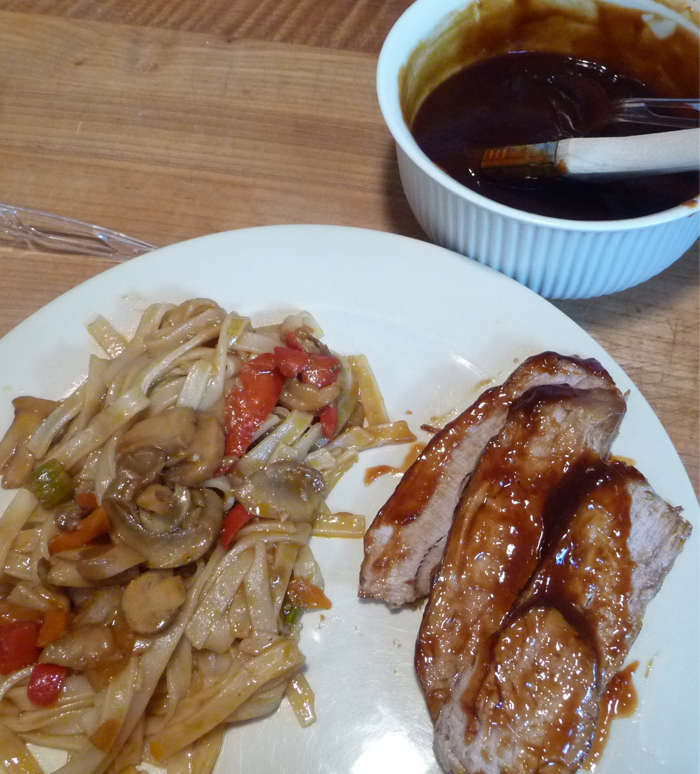 Hoisin and Sriracha make a great BBQ Sauce and glaze. This recipe from JeanMarie Brownson came to us via the Food section of our local paper. She was trying to clean out her fridge by “pouring several condiments” into a bottle. Hoisin sauce, ketchup, and the “oh-so-trendy” sriracha sauce became the basis for this delicious bbq sauce/glaze. 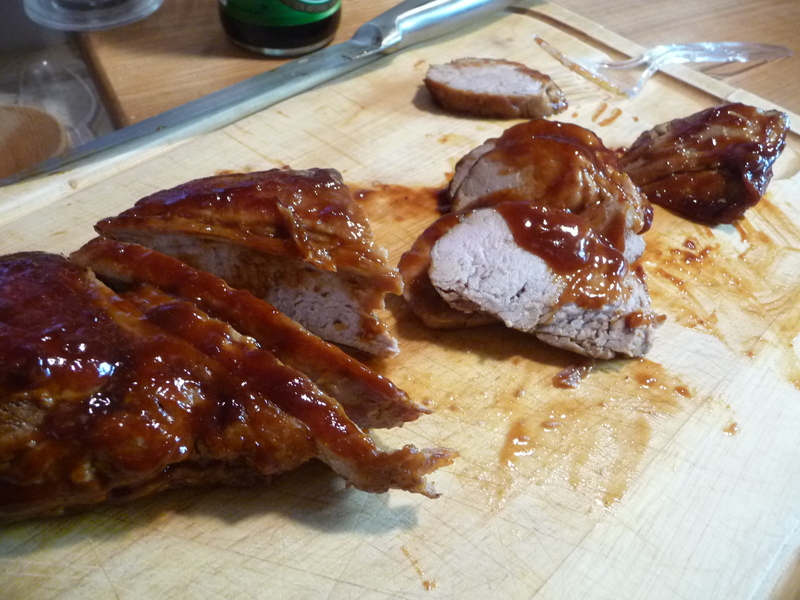 We cooked up this BBQ sauce to glaze on our pork tenderloin, as per her instructions. 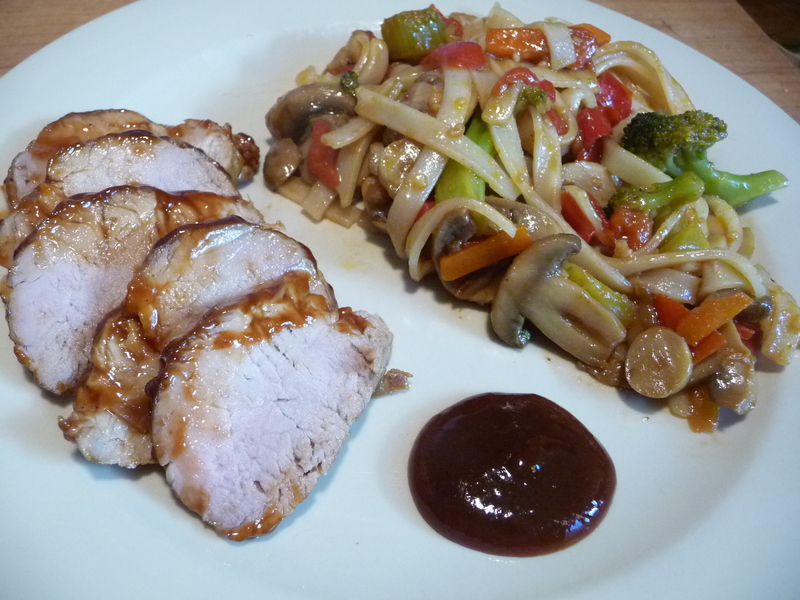 It paired perfectly with stir-fried veggies and oriental noodles, which also incorporated some of the bbq sauce. This simple recipe calls for 2 parts hoisin sauce, 1 part sriracha and 1 part ketchup. It made a perfect glaze for our pork tenderloin. With some tweaking, this could be a great glaze for chicken wings. We would kick up the sriracha, and back off just a bit on the hoisin and ketchup. Some unsalted butter would add some fat and flavor too. But that’s another post. Enjoy!